Nice little cottage on the fringe of city. 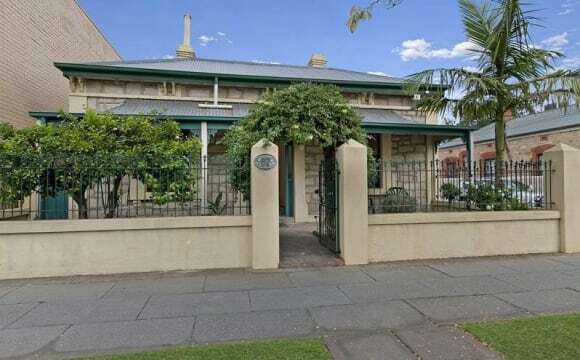 There's nothing better than this location, 15 minute walk to Rundle street and a hop skip and a jump to O'Connell street which is home to many great eateries and ok pubs. Let us know if you'd like more information and photos of the house. A typical unit in a perfect location! 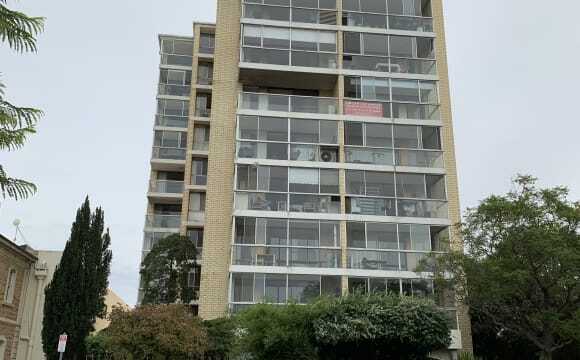 This unit is located very close to O'Connell Street in North Adelaide, my favourite area! The unit has 2 bedrooms and one bathroom (that includes laundry). 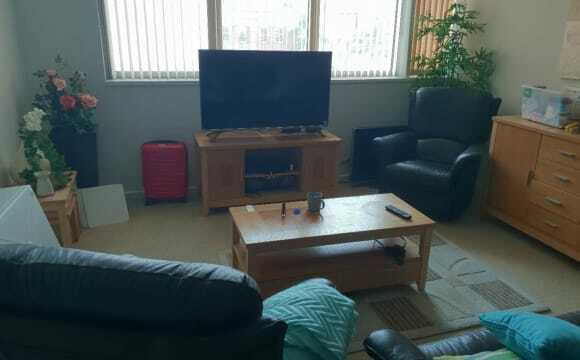 The lounge area has been organised to include TV, DVD and HDMI cable to connect your laptop and enjoy Netflix or any other! Kitchen has plenty of space and includes all the basic appliances. The bathroom is quite wide and includes two big mirrors and a lot of storage space, you won't feel you are sharing it! The room at the moment is unfurnished. It is 2.50 m wide and 3.50 m long, therefore it has plenty of space for a double bed and a bedside table. Big built in robe!. I am open to furnish the room adjusting the rent if you don't have your own things or help you with tips to get good 2nd hand furniture! The unit has a car park if you need it and also plenty of on-street space. The free bus that takes you to the city stops 8 min from the unit or the regular bus only 2 min away! Parklands all around and the aquatic centre 3 min away. The rent is $165 + 7.5 (unlimited internet) = $172.5/week. The bills (water usage, gas, hot water and electricity) would be shared every quarter! Check the pics and contact me if you want to arrange an inspection! 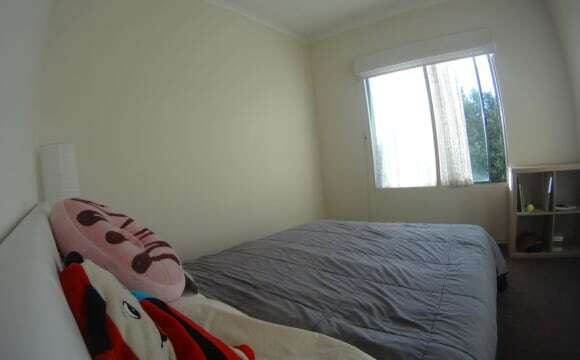 The house is furnished, except for the bed in your room. You will have your own bathroom and toilet. Electricity and Wifi are great and included in your rent ! For a property on O'Connell street, the rent is really low and the view is to die for ! I'm on the 7th floor. there's many places to eat, bars and good restaurants, a 24x7 bakery and 2 groceries stores very close by. Commuting is easy, a bust stop right outside the house. 10 min by walk to city and 5 min by bus ! 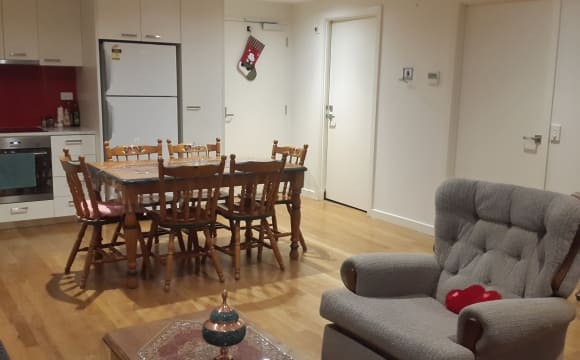 Unlimited Internet, Unlimited ultitiy usage, we have a theatre room with pingpong tables, pool and foosball tables theres also a gym, walking distance to the tram, train and busses also close to Rundel Mall We also have aircons and heaters in all the rooms! 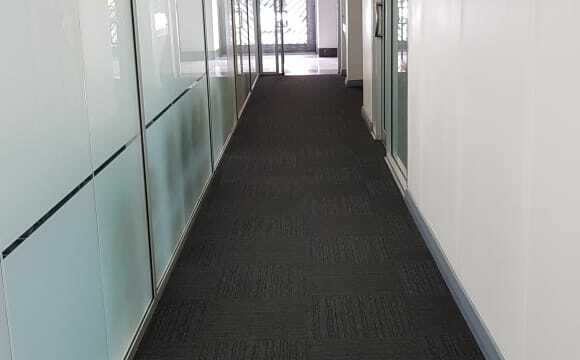 This property is right in the heart of the city and is the most idealistic place to stay at. With everything less than a kilometre away, the level of convenience is extremely high. Also, the common student zone in the building has various activities for one to indulge in and there are various events that are organised every month (Bar BQ night, breakfast bars, pizza nights, burger nights, movie nights, etc, - all included in the rent!!) The room is available at the earliest and my bond expires end of June. If you wish to stay longer, you can extend the bond at a lower rent rate! 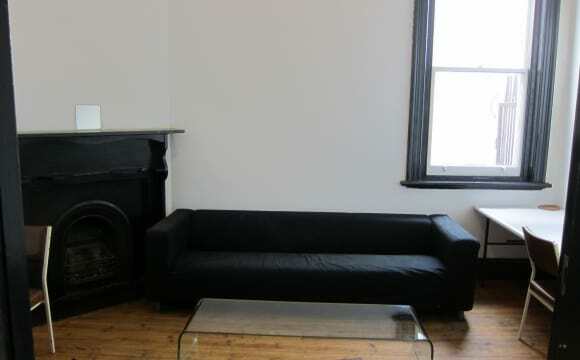 Close to all transport, universities, shops or work in the city. Wifi in the building. Laundry with washing machines and dryers. 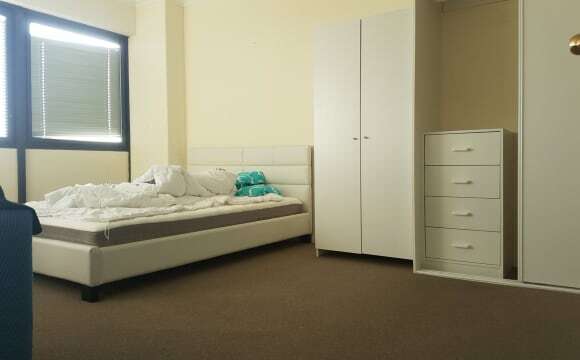 Close to all transport, universities or work in the city. Airconditioning and Heating. Large top floor apartment has light and airy feel. Secure building. 2 bedroom 2 bathroom, balcony, living area and kitchen. 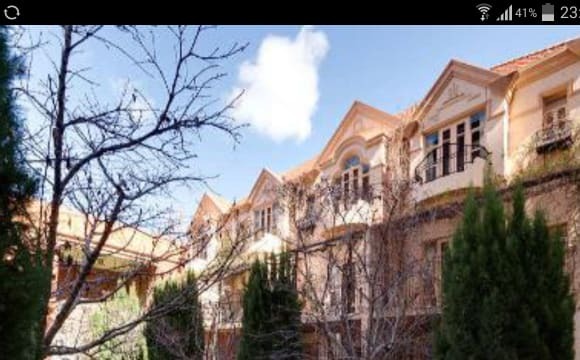 the house is located on king William street absolute heart of the CBD overlooking rundle, king william and also the adelaide hills on the horizon from the 11th floor. 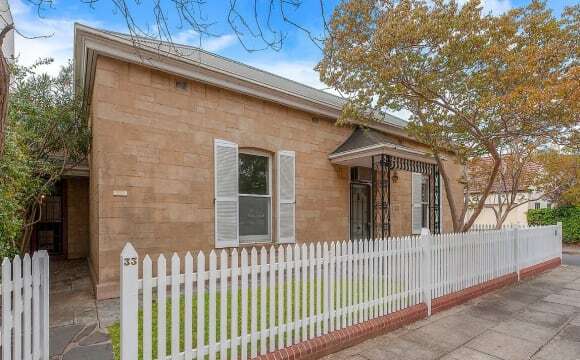 ideal for 2 people to share the house and live conveniently. I am currently the second occupant of the house and our lease is about to expire. I am looking for someone to take over the new contract and have me as your flatmate for the other room which will bring your rental for the house down to 225- 230/week without bills the master bedroom is available (225- 230 /week) - large windows overlooking king william - private bathroom - large wardrobe - large space to furnish the room as you desire and make it your own other inclusions in the house -fridge -dishwasher -washing machine - oven and cook top the building has secure access and the following locations are just within 2-5 mins of walking distance - 24*7 convenience stores -major bus stops - rundle mall - hindley street -tram stops -gyms -medical stores electricity and internet we can split equally over and above the rent. One bedroom available to rent in a quiet, leafy street in Brompton. You'd be living with two other lovely humans, a female international student that sells skin care products for a day job and a male business professional that works in advertising and marketing. We are looking for someone friendly, silly, caring, independent, clean, motivated, long-term and special as we are a tight team and favour that family vibe. A beautiful space for growing and creating. No couples. The ROOM - There is a built-in robe for storage, ducted reverse-cycle A/C, and a bathroom to share with one person, your female housemate. 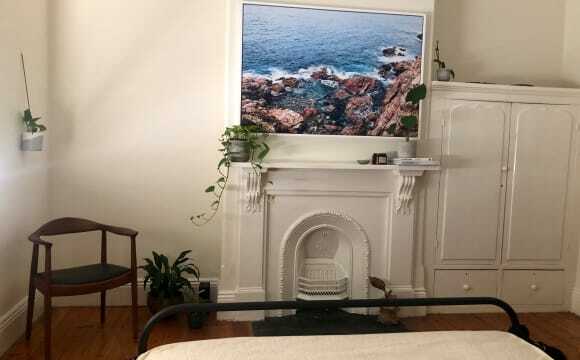 All you need to do is furnish your room. Extra storage is available if required. 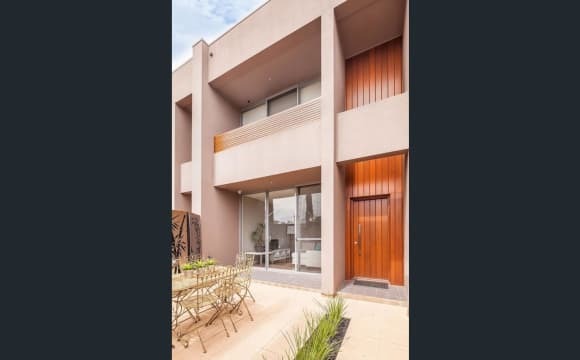 The property is a very large and modern, city-fringe two-story townhouse in the highly desirable inner west location of Brompton. Boasting a large tree lined front courtyard and an extra-large living area and Kitchen, this home will give you the space you need to relax. Also, being set in a quiet, leafy neighbourhood makes for a great night's sleep as the only thing you are likely to hear at night is the crickets. The living areas comes furnished. There is ducted reverse-cycle A/C in all rooms and a separate toilet downstairs for guests. The KITCHEN - is perfect for cooking with ample bench space for meal preparation, plenty of storage space, fridge and freezer, dishwasher, large double sink and a gas 4-burner stove with fan forced oven. There are also plenty of appliances including a cold-press juicer which is perfect for creating your own healthy refreshing juice recipes. Your SHARE BATHROOM - is modern, bright and spacious with a double heat lamp to keep you toasty and warm before you step into the shower. The hot water is gas and continuous, so there is plenty of it. The FRONT COURTYARD - is perfect for al-fresco meals, doing some work outside or just relaxing in the shade. This private tree lined courtyard is furnished with a six-seater table and is covered by a large umbrella. It is the kind of space where you could just sit around all day and enjoy the sunshine. The LOUNGE/DINING ROOM - is a very large space that could essentially be separated in to two distinct rooms. The dining roam section boasts a large 6-seater rustic wooden table and the lounge room section has an excellent surround sound entertainment system, a reclinable three seater couch and an extremely comfortable lounge chair. THE INTERNET - we have cracking fast 50Mbps download speeds and over 10Mbps upload speeds. Perfect for busy students or business professionals. CAR PARKING - there is a very clean and tidy double carport with a remote controlled roller door accessible from a private rear lane. There is room for one additional car to be garaged here but this is not included in the current asking rent. If you would like to use the carport, you will have to pay for a new remote control - approx $90 and there will be an additional $50 per week rent. TRANSPORT • You can be in the CBD in only 7 mins by car • The BUS stop is a one minute walk from the front door • Bowden TRAIN station is a 10 minute walk • The TRAM to City or Glenelg is a 10 minute walk • You can ride a BICYCLE to the CBD in less than 15 mins along the picturesque Torrens River Linear Park, with access to a separated bikeway • The ENTERTAINMENT CENTRE is a 10 minute walk • The bustling and popular PLANT 4 Bowden Markets is a 10 minute walk • Queen Street cafes and shopping precinct is a 15 minute walk • Shopping at Brickworks Tony and Marks for gourmet groceries only 5 min drive • Also very close and convenient are the Adelaide Parklands, Aquatic Centre, Art Gallery of SA, Memorial Drive Tennis Club, Adelaide Oval, North Adelaide Golf Course If you have any questions, please do not hesitate to ask.